What is a narrative fallacy? Have you noticed social media’s obsession with the habits of successful people, how politicians suggest simple solutions to complex problems and the appeal of magical ‘silver bullet’ fixes? People like to simplify things as we have a natural desire to understand what causes events and we hate uncertainty. In the book The Black Swan, Nassim Taleb describes how people can’t help but create narratives that do not exist, particularly when those stories confirm our existing beliefs. Nassim Taleb coined the term narrative fallacy to describe; “our limited ability to look at sequences of facts without weaving an explanation into them, or equivalently, forcing a logical link, an arrow of relationship upon them.” We can see this all the time as people create stories to explain random and unpredictable events as this makes us feel smarter and more in control of our destiny. “Once your mind is inhabited with a certain view of the world, you will tend to only consider instances proving you to be right. Paradoxically, the more information you have, the more justified you will feel in your views,” – Nassim Taleb, The Black Swan. Posts describing the habits of highly successful people are a classic example of the narrative fallacy because writers mistake random attributes as causal relationships. There is no one-size fits all answer for how to become successful, it’s a myth created by bad science. 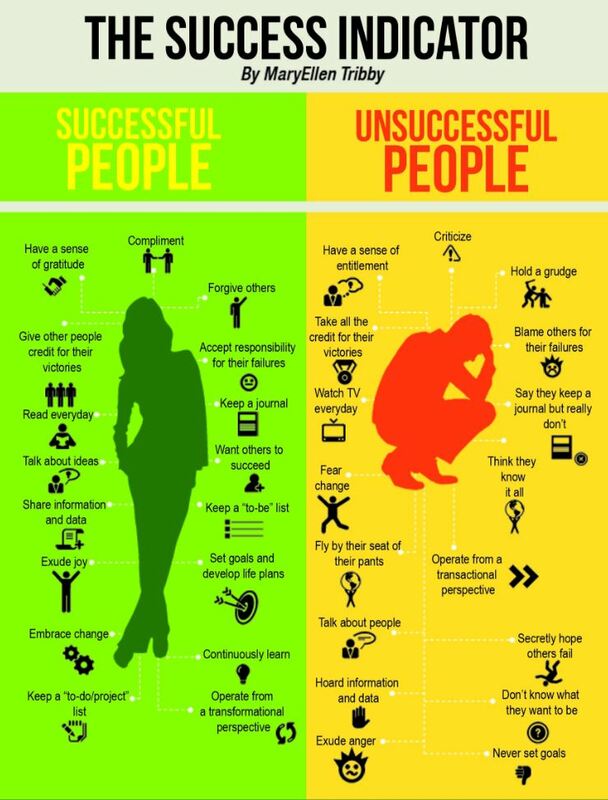 Take this post I saw on LinkedIn which shows the characteristics of successful and unsuccessful people. For each of the attributes shown for successful people I can think of many examples of people at the top of their profession who do not demonstrate these characteristics. If we look at major e-commerce retailers in the US, Tony Hsieh of Zappos published a best-selling book on the “happy place” culture he created at Zappos. He managed to build a billion dollar company, but so did Jeff Bezos at Amazon and yet he has a completely different approach to corporate culture. Bezos runs a very tight ship in terms of costs and has a “take it or leave it” attitude towards employees. It is not uncommon to hear complaints about the working environment at Amazon from ex-employees. So, for every Hsieh you are likely to get a Bezos with a successful company doing the very opposite. Another great example is Donald Trump. He managed to sell a convincing narrative to become the US President, but he doesn’t accept responsibility for his failures. He argues that anything negative is likely to be fake news made up by the media. Further, within the first month after becoming president Trump tried to take credit for immigration and job-creation initiatives that started before he took office. He’s not alone in his approach either as there are lots of successful business people who have succeeded partly because of their arrogant, overconfident attitude as people often mistake confidence with competence. Trump’s use of fake news is also clearly a strategy to create a narrative fallacy in the minds of his supporters. He wants them to believe that the media are spreading lies about him to convince them that he is the one telling the truth. When it all goes wrong, which I think is inevitable, he will blame everyone but himself for his failure. Businesses change and so do people! A further reason why habits of successful people are a narrative fallacy relates to the fact they are usually based upon the characteristics of the individual after they have become successful. For these habits to be indicative of why they became successful they would have had to remained constant throughout their rise from office junior or start-up founder to being CEO of a billion dollar corporation. We all know this is complete rubbish as one can’t manage a small start-up in the same way you do a billion dollar business. For a start the complexity of a large corporation requires a very different approach than you would take with a tiny start-up, both in terms of management style and cultural values. We have a tendency to focus on survivors of a process and forget about the many who did not succeed. Hard work and luck matter! Successful people can teach us lessons, but rather than looking at their behaviours, often it is how they approach challenges and define a problem that is more enlightening. Their experience often gives them great insights into how to deal with challenges, but don’t link an ability to be a good business person with how they live their life. What people often forget is that luck and hard work play a significant role in how successful we become in our professional lives. Storytelling can be especially dangerous for optimisers as it encourages us to rely on our existing mental models to generate new solutions. This is because we automatically restrict our testing and learning to those ideas consistent with those same mental models and may fail to consider alternatives that don’t fit with our narrative fallacy. As a result you can damage the efficiency of your program by limiting its scope. When A/B testing it’s also easy to fall into the trap of trying to explain the psychological reasons why the challenger variant beat the default. We can never really be certain why users behave differently when faced with one design compared to another as we don’t have access to the non-conscious brain which makes most decisions. Further, confirmation bias means that our minds automatically focus on reasons that fit in with our existing beliefs and so we are prone to jumping to conclusions that align with our belief system. Similar to this is the Causation Bias which is our tendency to see a cause and effect relationship in a situation where none exists. This is especially the case where we find a correlation and assume a causation even though there is no known reason or there to be causation. Establishing a strong hypothesis for an experiment based upon scientific evidence before you proceed is an important strategy as this helps us avoid hypothesizing after the results are known (HARKing). 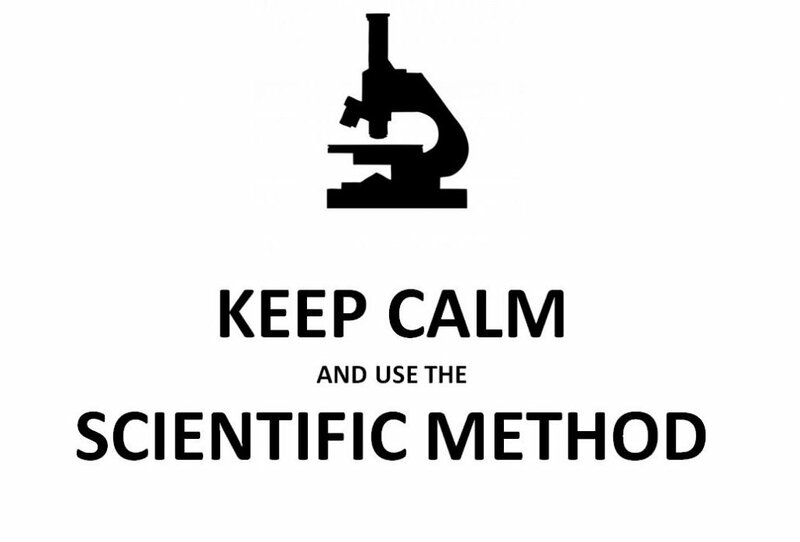 Further, be disciplined with data collection and the length of your experiment to avoid cherry picking data points. When deciding how long to run your test ensure you factor in the length of the business cycle and avoid stopping the experiment before you have both a high level of statistical confidence and a low error rate (usually below 5%). Avoid communicating changes in conversion rates for tests that don’t reach full statistical confidence. This just encourages people to create narratives that are not based upon reliable data. Unfortunately some marketers who do not understand statistics will put optimisers under pressure to this, but it should be refused on the basis that it will result in narrative fallacies. Finally, focus on what action you are going to take as a result of the experiment, rather than thinking about why the result happened.